Guests: Dr. Paul Spudis; Tony Lavoie. Topics: Their paper titled "Mission and Implementation of an Affordable Lunar Return." Please note that you are invited to comment, ask questions, and discuss the Space Show program/guest(s) on the Space Show blog, http://thespaceshow.wordpress.com. Comments, questions, and any discussion must be relevant and applicable to Space Show programming. We welcomed back Dr. Paul Spudis and as a first time guest, Tony Lavoie to discuss their recently published paper, "Mission and Implementation of an Affordable Lunar Return." You can download their paper here: http://blogs.airspacemag.com/moon/2010/12/can-we-afford-to-return-to-the... and www.spudislunarresources.com/Papers/Affordable_Lunar_Base.pdf. I urge you to read their paper before commenting on the blog or sending either guest an email. While our program unfolded in three segments, our entire discussion was focused on their program for returning to the Moon. Dr. Spudis started us out in the first segment with a history going back to Augustine when he was not satisfied with the conclusions from the committee and set out with Tony to see if they could develop a lunar return architecture that would work and fall within the NASA budget. During the first segment, our guests addressed the commercial potential of their suggested program as well as the incremental approach the program draws upon. Toward the end of the segment, we talked about timelines, both for the robotic and site exploratory missions, then followed by the human missions. We also talked about the use of telerobotics for this program as the Moon is close enough to allow for this while a NEO or Mars mission would incur substantial time delays rendering it difficult to use teleoperated robotics. In our second segment, Tony expanded the time line topic and carried it out to around year seven. We also talked about ways to assure long term congressional financing and project support. We took several listener questions including one from Marshall regarding a possible liquid core for the Moon. Spike both emailed and called in with questions about the paper, while there were several additional questions about the use of lunar water for fuel as well as for humans. Toward the end of this active listener give and take with our two guests, Jerry asked about the Moon having an increased value due to recent exploration and discoveries. You do not want to miss what our guests had to say about this. In fact, as you will hear from our guests, this increased lunar value with the discovery of water and more provides a significant part of the rational and the economics to return to the Moon. At the end of this segment, our guests fielded a heavy lift question. As you will hear, the paper suggests moderate heavy lift at approximately 65 metric tons. While the analysis was not made, the suspicion was that without heavy lift the mission costs would be higher. In our third segment, we continued with listener questions and calls on a range of subjects related to the paper. John inquired about reusability and engines. Tim inquired about nuclear propulsion & a liquid oxygen and aluminum powder as the propellant. I then asked Paul and Tony for their implementation plan for their program. We concluded the program with a discussion of the value of this plan and returning to the Moon for us to become space fairing, not just to quickly go to a destination and return as we did with Apollo. The plan is about making Cis-lunar space affordable and routine so we can continue expanding our presence in space. We talked about space development as a wealth building tool and investing in space development and not treating it as an expense. 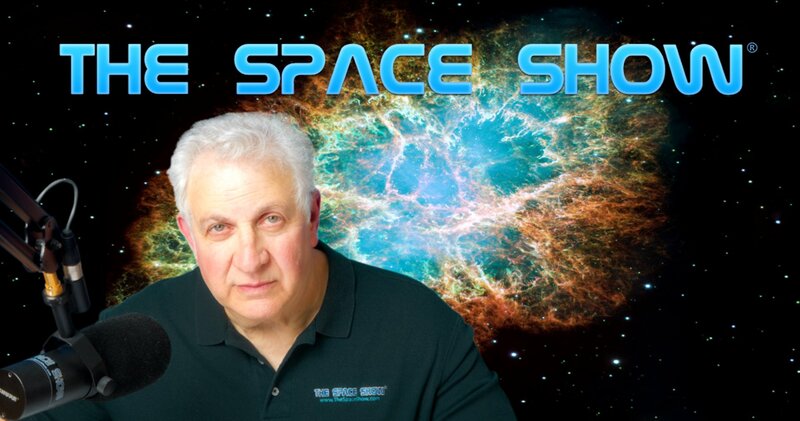 Post your comments and questions for our guests on The Space Show blog at the URL above. Dr. Spudis has a website, www.spudislunarresources.com & a blog @ http://blogs.airspacemag.com/moon. Guest email addresses are on the title page of their paper.